Claudia Karvan and Marcus Graham will feature in the next instalment of Jack Irish. They join returning cast Guy Pearce, Marta Dusseldorp, Shane Jacobson, Aaron Pedersen and Roy Billing. In the six-part series Jack’s mysterious new client goes missing before he meets her and he is soon caught up in a murderous web of powerful vested interests, that stretches from his home town turf of Fitzroy to a remote village in Mindanao, Philippines. Carole Sklan, ABC TV’s Head of Fiction, says, “It’s a dangerous world. We’ve missed the dry humour, disarming charm and eccentric characters of Jack Irish. 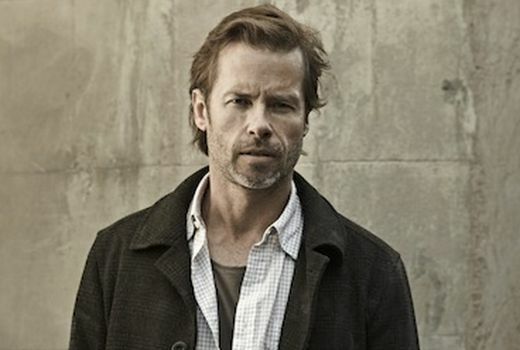 We are delighted to have Guy Pearce and the brilliant Jack Irish team creating a major new drama series for the ABC”. Written by Andrew Knight, Matt Cameron and Andrew Anastasios, series directors are Kieran Darcy Smith, Mark Joffe and Daniel Nettheim. The series starts production in Melbourne on Monday, August 10 and will air on ABC next year. So why does every show have to be written, directed and star women in the major roles? Quite a lot of Aussie shows recently have had a women as the lead and there are women directing and writing shows, not sure what the issue is? Shame on you ABC and Essential Media – writers and directors are all men. What would Meryl Streep and Geena Davis have to say about that gender bias? And if you don’t know what that means, look it up people! I’ve always thought this show was blokey…probably why it’s never quite worked. Well just add Claudia Karvan as a potential new love interest and the problem will be solved! Said no female producer/writer/director ever. Have the audience really missed Jack Irish? Guy Pearce is curiously miscast in this role and has no on-screen chemistry with Marta Dussledorp, who has the lead role in yet another returning ABC drama. It’s going to be pretty hard to get excited by next year’s drama on the ABC because we’ve seen it all before. That’s the problem with playing it so safe. Yes, have never been a big fan of this show – found it only just OK.
Agree Guy is miscast in this role. Yep. Can’t really speak for the series because I only ever saw the first ep of the first one but I thought it was a bit too cliched and hokey. Occasionally I felt that Sam Spade was going to start narrating and talk about dames and broads. It wasn’t bad but it was also not good enough for me to be bothered with it. And I’m a fan of Guy Pearce. Just not in this.